As specialists in asbestos surveys, asbestos sampling, asbestos management plans, asbestos removal and asbestos re-inspection surveys, Crucial Environment offers situation-specific advice. Crucial Environmental will also be able to produce a comprehensive management plan concerning the presence of asbestos in your property and whether or not any action should be taken. Asbestos is an incredibly harmful substance that can even be fatal if disturbed, so it is essential that proper care and maintenance is conducted in order to ensure client safety. 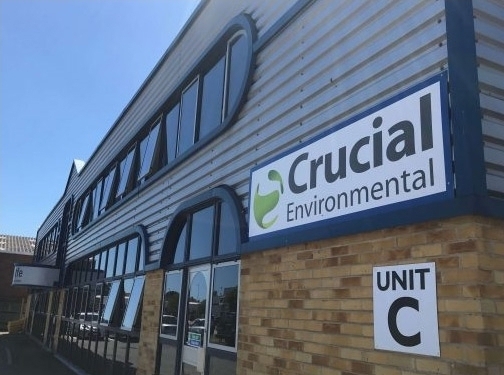 Crucial Environmental will work with affiliate HSE licensed asbestos removal companies in order to provide swift and efficient solutions for all clients. Whether you're looking for a detailed asbestos survey in the South East, or would like to find out more about the advice given regarding a specific type of asbestos, please get in touch. You can also visit the Crucial Environmental website for more information on the range of services provided. UK (Worthing, West Sussex) based business providing asbestos removal services. Website includes details of services provided, work examples, accreditations gained, associations, details of business premises, regularly updated blog, policies, full contact details.